This book will help you See-with a capital S- that you are divine, and that you already possess an inner, invisible higher self that can and will guide you toward a mastery of the art of manifestation. You can attain this mastery through deliberate conscious control of your imagination! 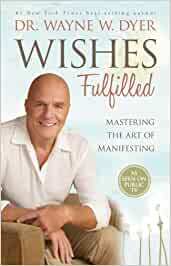 Start reading Wishes Fulfilled on your Kindle in under a minute. WAYNE DYER Dr. Wayne W. Dyer, affectionately called the father of motivation" by his fans, is one of the most widely known and respected people in the field of self-empowerment. He became a well-known author with his bestselling book, Your Erroneous Zones, and has gone on to write many other self-help classics. Despite his childhood spent in orphanages and foster homes, Dr. Dyer, who has a doctorate in counseling psychotherapy, has overcome many obstacles to make his dreams come true. Today he spends much of his time showing others how to do the same. When he's not traveling the globe delivering his uplifting message, Wayne is writing from his home in Maui, Hawaii. DEEPAK CHOPRA Deepak Chopra has written more than twenty-five books, which have been translated into thirty-five languages. He is also the author of more than one hundred audio- and videotape series, including five critically acclaimed programs on public television. In 1999 Time magazine selected Dr. Chopra asone of the Top 100 Icons and Heroes of the Century, describing him as "the poet-prophet of alternative medicine." Dr. Chopra currently serves as CEO and founder of The Chopra Center for Well Being in La Jolla, California. 4.0 out of 5 starsSure writes from the heart. I like Dyers writings but this one was slanted toward Christianity. That made it a bit difficult for me. All the other "attraction" principles are included and Dyer makes them more attainable. I'm a little astonished at the universally positive reviews here. The book definitely has its charms, as does its author - there's no question that he can be inspirational, uplifting, positive, etc. etc. But what's with the orbs? I mean, really. ORBS? This isn't the Dr. Wayne I remember. He's getting just a little too kooky for me. I'll stick to Deepak. This is one of the best educational materials I have ever purchased. I have watched this PBS presentation a couple of times now with friends and would recommend it to anyone who is wanting to have a more harmonious life. I am glad to see that the science community is now being able to link and accept concepts of mindfulness and wellness. Gregg Braden's book "Spontaneous Healing of Belief" would compliment this Wayne Dyer DVD beautifully. Yet another Wayne Dyer masterpiece. Really found this book inspiring and wonderfully written as only a true master could do. Highly recommend. Great book! A lot of insights! Dr. Dyer is just a gentle soul, helping us all live the life we were meant to live and showing us how in his books. Wishes Fulfilled is a culmination of all there is to say. It speaks to you and shows the ease of living as I am. 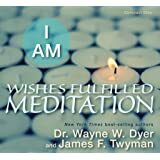 I am growing and living my life experiences with Wayne Dyer. He is and always has been my closest friend. His words have been a part of my life for 30 years. Wayne Dyer continues to speak the words that are in me and always have been. I am grateful for having all his books be a part of my life. I've listened to this many times and always pick up a piece that happens to be relevant to me to help me along the way.